Seminole Sports is a fraternally operated organization comprised of a collective group who is dedicated to putting forth a quality product from which many will benefit. We truly feel that our customer service, organization, and communication is what sets us apart from others. Our tournament directors have years of experience and are readily accesible on site. We pride ourselves in getting to know all of the teams on more than an informal bases in an effort to continue to grow a lasting relationship with all players, coaches, fans, and organizations. Please be sure to read our staff biographies to further acquaint yourself with the Seminole Sports team. We will see you on the ball fields! 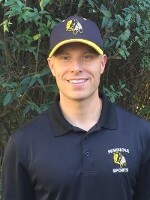 John has been active in travel baseball for over 20 years as a player, coach, and tournament director. 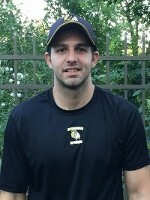 He is a 2002 graduate of Conant High School where he earned All-Conference awards at both Catcher and Second Base during a 3 year varsity career, 2 of which he captained. In his college career he was a two year starter and captain at Oakton Community College before wrapping us his career as a member of the University of Iowa Baseball team. Outside of his two years in Iowa City, Suvada is a lifelong resident of Schaumburg. He and his wife Meg, have three children, Gianna , Gavin, & Jake. Marc is a 2004 graduate of York Community High School. He played baseball, basketball and football. His favorite sports teams are the Bears, Blackhawks, White Sox and Alabama football. His all-time favorite player is Michael Jordan. 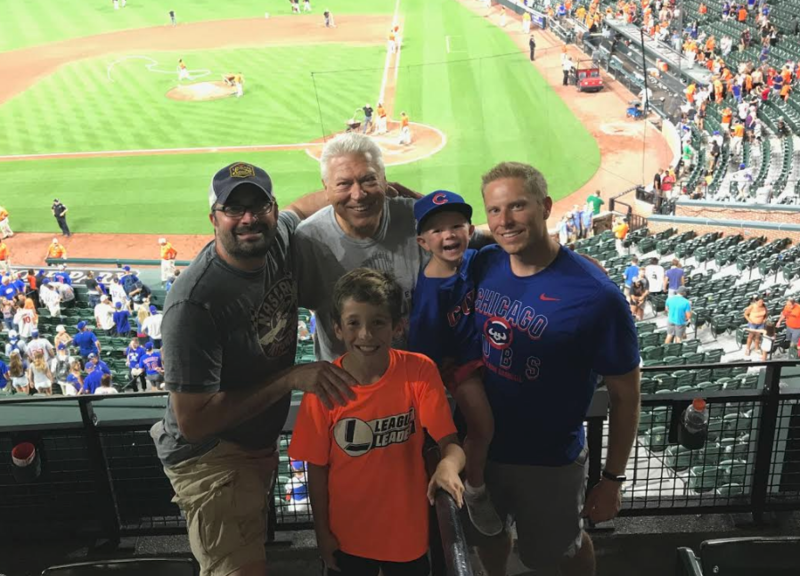 The most exciting sporting event he ever attended was game one of the ALDS series when the Chicago White Sox crushed the Red Sox 14-2. 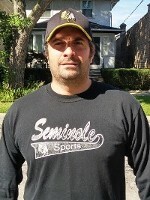 Marc umpired baseball and softball for 17 years. Playing baseball as a youngster was the best time of his life. He loves youth sports and sharing the life lessons that he experienced growing up. Jay joined the Seminole Sports staff in 2016. Jay grew up in Boca Raton, Florida and played baseball at Palm Beach Community College and University of Central Florida. 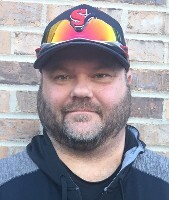 He was the co-owner of Morgage Professionals, Inc. During the high school baseball season he is the head baseball coach at St. Joseph High School, responsible for the Freshman, Sophomore, and Varsity teams. Jay brings extensive baseball knowledge and expertise. He currently resides in Westchester, Illinois. Phil joined the Seminole Sports staff back in 2014 upon his relocation to the Chicago area. 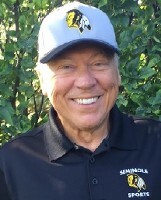 The Denville (NJ) native brings lots of energy and enthusiasm to Seminole Sports tournaments. He is perhaps best known for his Championship Sunday award presentations. Esposito’s top 2 sports teams to root on are the New York Rangers and the L.A. Rams. Phil claims to be the second most famous person to attend Le Moyne College (NY) with the first being Major League Baseball Commissioner Rob Manfred. He and his wife Sara, reside in Oak Park with their son, Ross. Vince joined the team back in 2012 and has been an integral part of Seminole Sports growth. His love for the game of baseball and his customer service skills are invaluable attributes. Scanio played baseball at York High School and later earned his degree from Elmhurst College. He is a die-hard Chicago sports fan, with the exception of the Chicago Cubs. In his spare time you can find him on the softball field, at the gym working out, or hanging out at home with his wife Denise and their son Vinnie. Bob is the newcomer to the Seminole staff. After 25 years in sales, marketing and management with the Xerox Corporation he left to chase a dream. He spent three years researching, designing and promoting a family-friendly world class youth sports complex. Unfortunately, the 14 muti-purpose turf fields and indoor dome was sidelined when the economy took a turn for the worse in 2008. Bob is passionate and extremely excited about promoting youth sports and making a difference in the lives of aspiring young athletes. Bob lives in Schaumburg with his wife Claudia and has three grown children, Katie, Courtney and John. Anthony Calcagno, Justin Durante, Zach Charters, Jay Meath, Trusten Annin, Shane Claffey, Danny Bruno, Steven Piraino, Brad Meath, Ryan Carmody, Kenny Benjamin, and our 2019 NIU Interns.